Hustle is big. That's a team effort. Everybody needs to hit the glass this game. Our guards need to get in there. Me and Luc need to box out well. 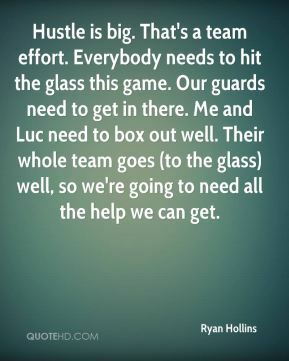 Their whole team goes (to the glass) well, so we're going to need all the help we can get. 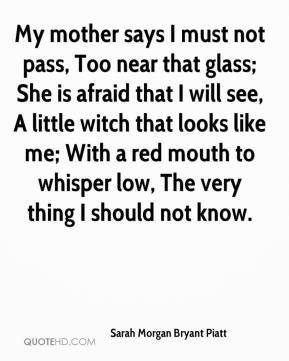 My mother says I must not pass, Too near that glass; She is afraid that I will see, A little witch that looks like me; With a red mouth to whisper low, The very thing I should not know. 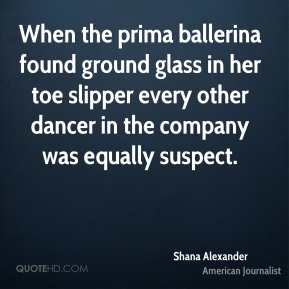 When the prima ballerina found ground glass in her toe slipper every other dancer in the company was equally suspect. 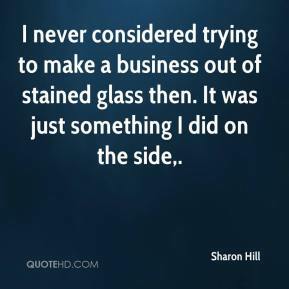 I never considered trying to make a business out of stained glass then. It was just something I did on the side. 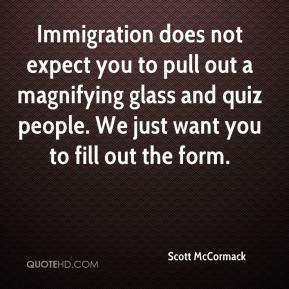 Immigration does not expect you to pull out a magnifying glass and quiz people. We just want you to fill out the form. 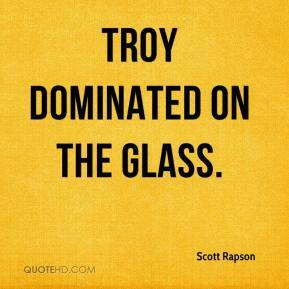 Troy dominated on the glass. 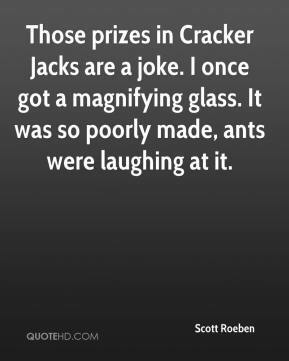 Those prizes in Cracker Jacks are a joke. I once got a magnifying glass. It was so poorly made, ants were laughing at it. 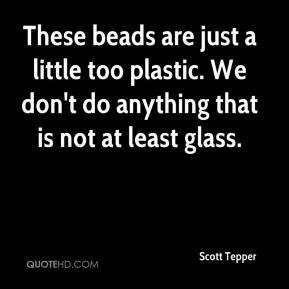 These beads are just a little too plastic. 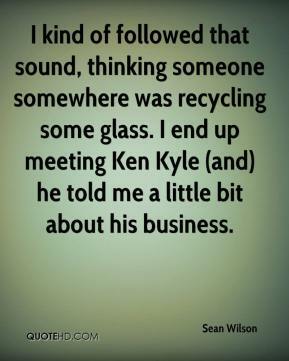 We don't do anything that is not at least glass. 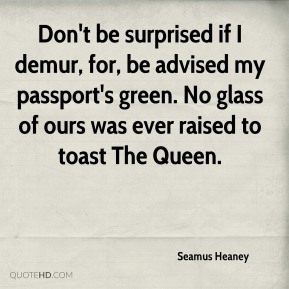 Don't be surprised if I demur, for, be advised my passport's green. 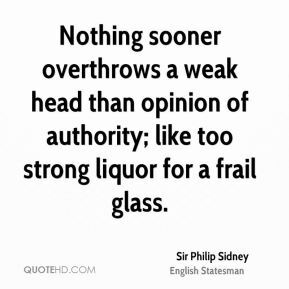 No glass of ours was ever raised to toast The Queen. 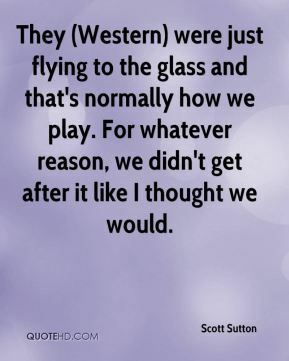 They (Western) were just flying to the glass and that's normally how we play. For whatever reason, we didn't get after it like I thought we would. 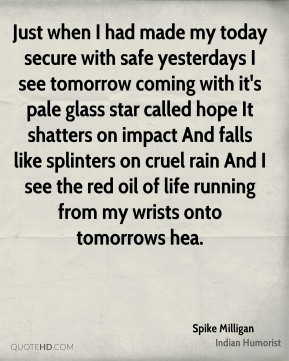 Just when I had made my today secure with safe yesterdays I see tomorrow coming with it's pale glass star called hope It shatters on impact And falls like splinters on cruel rain And I see the red oil of life running from my wrists onto tomorrows hea. 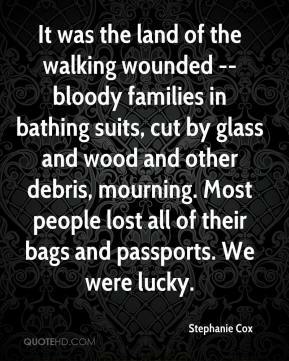 It was the land of the walking wounded -- bloody families in bathing suits, cut by glass and wood and other debris, mourning. Most people lost all of their bags and passports. We were lucky. 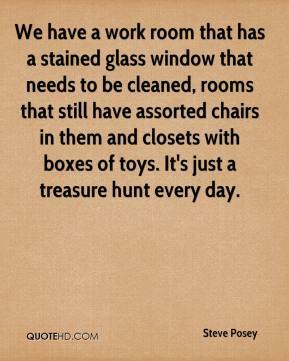 We have a work room that has a stained glass window that needs to be cleaned, rooms that still have assorted chairs in them and closets with boxes of toys. It's just a treasure hunt every day. 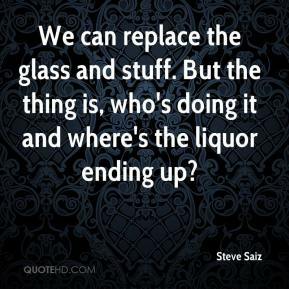 We can replace the glass and stuff. But the thing is, who's doing it and where's the liquor ending up? We just didn't get the ball off the glass today. It all spiraled down from there. 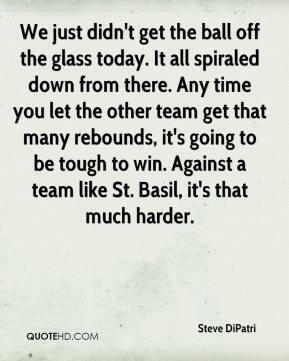 Any time you let the other team get that many rebounds, it's going to be tough to win. Against a team like St. Basil, it's that much harder. 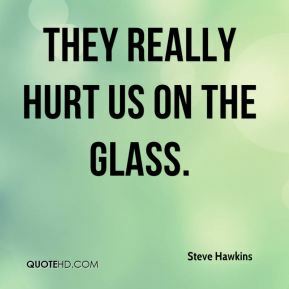 They really hurt us on the glass. 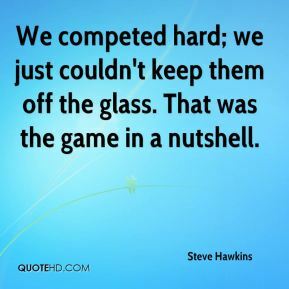 We competed hard; we just couldn't keep them off the glass. That was the game in a nutshell. 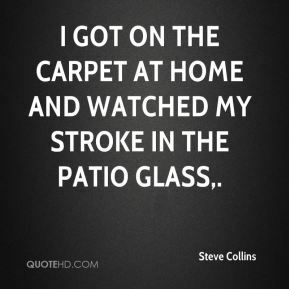 I got on the carpet at home and watched my stroke in the patio glass. 'The Glass Menagerie' is kind of a theater staple. Every year, there's somebody across the country performing it. 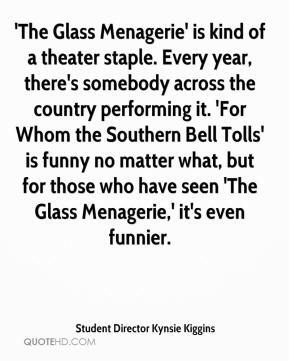 'For Whom the Southern Bell Tolls' is funny no matter what, but for those who have seen 'The Glass Menagerie,' it's even funnier. 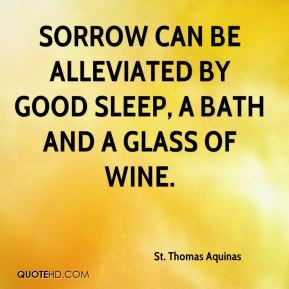 They can't have a glass of wine. 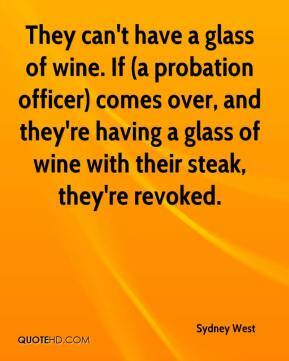 If (a probation officer) comes over, and they're having a glass of wine with their steak, they're revoked. 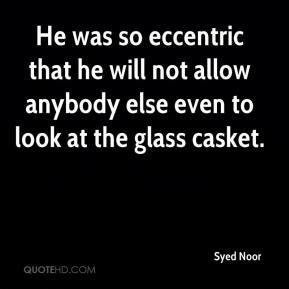 He was so eccentric that he will not allow anybody else even to look at the glass casket. Tree and Stone glittered, without shadows. My finger-length grew lucent as glass. 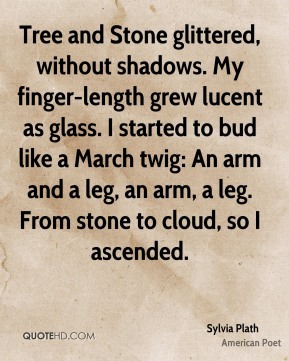 I started to bud like a March twig: An arm and a leg, an arm, a leg. From stone to cloud, so I ascended.